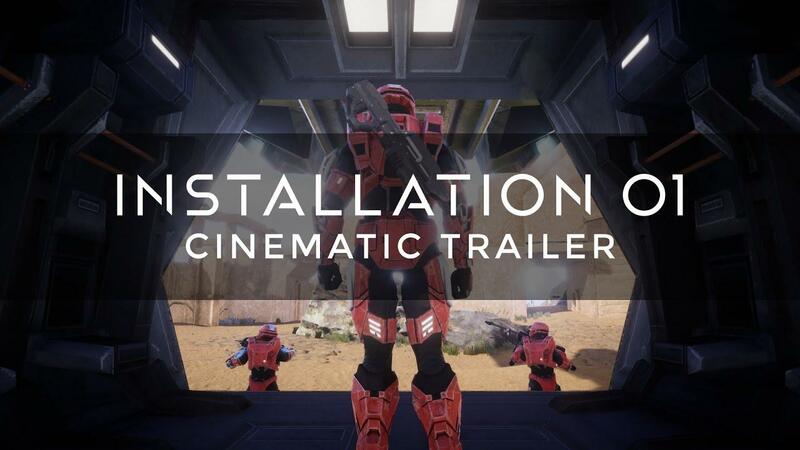 The rather epic looking Halo fan-game Installation 01 has a fresh new trailer and it's certainly got me excited for it! For those that don't remember, it's a fan-made game that aims to re-create the experience of the older titles using Unity. They don't actually use anything from Halo directly, it's all either custom made, or from the Unity store. That was a damn fine trailer! Very exciting, especially as a fan of the early Halo games myself. I really hope something good comes out of this, a decent Halo-like FPS on Linux would be pretty fantastic. It's quite amazing what people are able to create with tools like Unity. For details about how they are able to do it, including licensing, see here. I really hope Microsoft don't somehow shut it down, as it looks very promising. The license they link to doesn't actually forbid what they are doing. This looks too much like Halo. Wonder what MS and their lawyers will do. Just gimme a chance to download it, that's all I ask, and MS can piss off! It will be mine bwahahahaha! razing32 This looks too much like Halo. You must be kidding. It's an absolute carbon copy of Halo. I hope the hard work of the devs doesn't go to waste, but the the 'Game Content Usage Rules' page linked does not really seem to apply to absolutely ripping off their IP. Quote We know that people like you – gamers, fans, individuals, and enthusiasts – love our games and sometimes want to use things like gameplay footage, screenshots, music, and other elements of our games ("Game Content") to make things like machinima, videos, and other cool things (your "Item(s)"). We'd like to make that easier to do for fans of our games. So long as you can respect these rules, you can use our Game Content to make your Items. I don't know much about law, but this stuff is usually covered by fair use. The only reason they have a page on what people can and can't do with their content is because most people wouldn't take Microsoft to court over a Youtube video. So they have a bunch of things they will let pass. This is for using actual Halo content, like screenshots, music etc. But for a game, that copies the distinctive designs of Halo? That is not what this page is talking about. They are screwed. Normally I wouldn't think it would work but those rules seem pretty generous for noncommercial use! Perhaps Microsoft didn't have in mind people making entire good-quality free games out of it but can you see anything specific in those rules preventing Installation 01 from doing what they're doing? I don't think they're doing reverse engineering, for example, just recreating? Ads20000 Normally I wouldn't think it would work but those rules seem pretty generous for noncommercial use! Having said that, what's Halo Online and why did it get shut down?